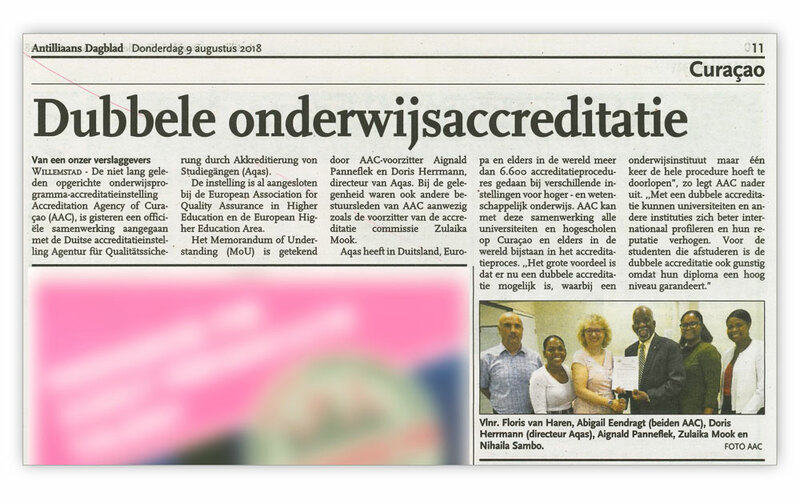 The Accreditation Agency of Curacao (AAC) is honored to announce a formal agreement for collaboration with the very reputable accreditation agency from Germany – AQAS. The MoU between AQAS and AAC was signed on Wednesday, the 8th of August at the board meeting of the AAC. Dr. Aignald Panneflek, President of the Academic Board of AAC and Doris Herrmann, M.A., CEO of AQAS signed the MoU and also discussed common goals and objectives as well as future cooperation. Also present were the board members and staff from the AAC, Drs. Zulaika Mook, the president of the Accreditation Commission and other participants. AQAS has completed over 6.600 accreditation procedures in Germany, Europe, and around the world and will form a long lasting strategic partnership with the AAC that will be both beneficial and advantageous for all universities and institutions of higher education who wish to go through a program and/or institutional accreditation procedure with the AAC. 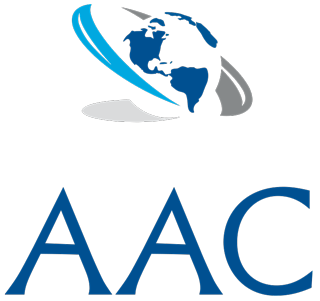 One of the most important aspects of this future association between the AAC and AQAS will be the double accreditation option. In a joint accreditation procedure, corresponding mechanisms from both agencies are united wherever possible. Deciding on such a combined process will offer institutions the opportunity to acquire a double accreditation (program and/or institutional) on the basis of a single procedure. All the respective frameworks and standards, intended to safeguard the quality of the accreditation processes, will of course be fully covered in a collective process. A double accreditation can help universities and institutions to profile themselves internationally and improve their standing and reputation. Applying for an accreditation process at various agencies will always require more time, effort, and administrative work. By applying only once for a double accreditation, the institution in question can significantly reduce the administrative load. The reputation of a program or institution will be improved significantly. Such an extensive process – if successful – also puts a stamp of approval on graduates: graduating from a doubly accredited institution indicates that alumni are expected to be completely ready to practice at a certain level. Last but not least, a double accreditation procedure provides educational programs with opportunities for self-definition and self-reflection, and with feedback on program content and direction. We at the AAC very much look forward to a very long lasting relationship with AQAS! Now is the future! The AAC will be participating at the 13th European Quality Assurance Forum.